We are very big on the bowl meal these days–not only are they healthy and delicious, but they help use up lots of little bits of vegetables and occasionally meat that we have left over from other meals. 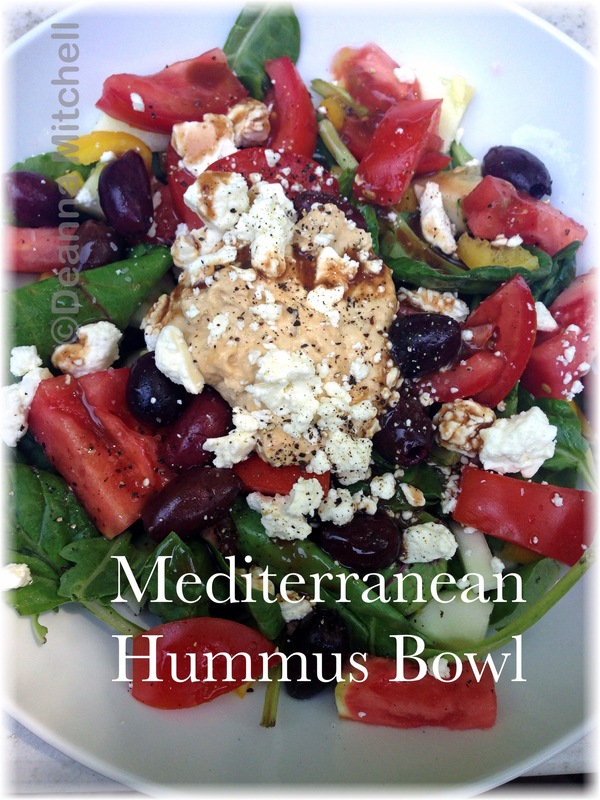 This Mediterranean bowl came about in just that way. I had the leftover feta and some hummus and some orzo. Why not put them all together and call it lunch? You could add a meat protein if you like–chicken or fish would be terrific–but it’s great without as well. A note here on salting your salad. Have you ever wondered why salads at a restaurant taste so much better than salads you make at home? Guess what? They salt the greens. Not like making pickles or something, but just a sprinkle of good quality salt. Try it–you will love it. In a large serving bowl, layer the greens and the next 6 ingredients. Salt and pepper to taste. Drizzle with balsamic vinaigrette and enjoy!